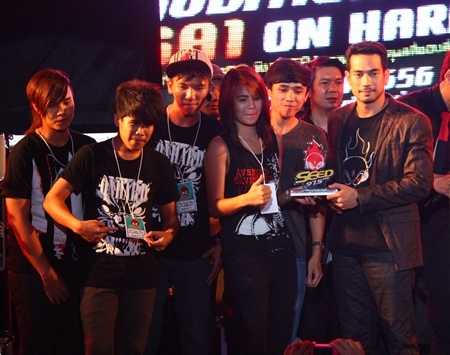 A Pattaya youth band finished second in Seed FM’s April band competition. Humor, comprised of teens from Bhodhisamphan School, lost out to Nakhon Ratchasima-based On Hard at The Seed Show Auditions April 27 at Central Festival Pattaya Beach. 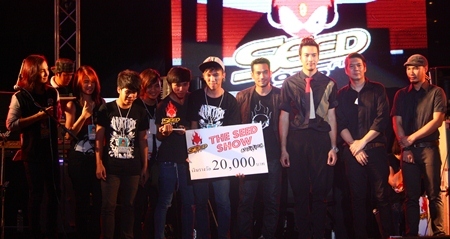 Humor won 10,000 baht in scholarships while On Hard won 20,000 baht and a chance to compete for The Seed’s top prize for top youth band of 2013 at the end of the year. 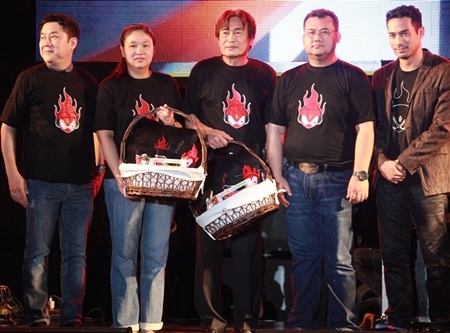 Pattaya Deputy Mayor Ronakit Ekasingh and Central Festival General Manager Theeraporn Jitnawa welcomed Seed FM Director Theeraphat Sajjakul to the beachfront mall, along with five youth bands competing to be top band for April. 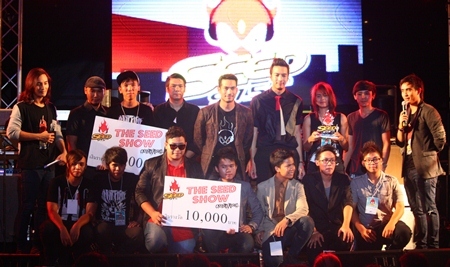 Seed FM Director Theeraphat Sajjakul presents the winnings too On Hard. 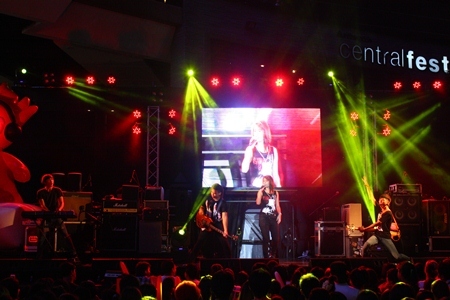 The radio station also entertained guests with a concert from Pae Arak, ETC, Armchair, Mild and Thaitanium. Armchair’s member did the judging for the contest.